Research In Motion is just over a month away from launching its BlackBerry PlayBook in the U.S., according to a story today from Boy Genius Report citing "multiple sources." BGR said that according to its anonymous sources the PlayBook will be released April 10. 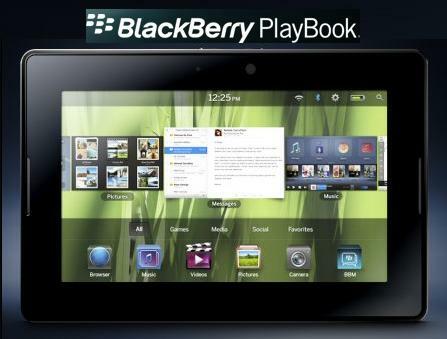 For its part, RIM has been tight-lipped about the launch of its BlackBerry PlayBook. When it first announced the tablet last fall, the company would only say that the device would come out in "early 2011." However, during its fiscal third-quarter earnings call in December, the company gave a few more clues about the PlayBook's release, saying that it believed "the first revenue impact from PlayBook to be in RIM's first quarter." RIM's fourth quarter ended on February 26, which indicates that the device will be out before the end of May. It should be noted, however, that RIM stopped short of giving an exact release date and didn't specifically cite April as a potential launch window. Last month at the Mobile World Congress in Barcelona, RIM announced plans to launch two other models of the tablet, one featuring long-term evolution (LTE) and the other offering HSPA+ connectivity. Those devices are slated for release sometime during the second half of 2011. First of all the BlackBerry PlayBook comes with the Texas Instruments OMAP 4 dual core processor with 1 GHz per core and 1 GB of RAM. The PlayBook will ship with a 7-inch display and front- and rear-facing cameras. The 7 inch display sports a resolution of 1024 by 600 and with a large array of connectors available ( just kidding ), the device can connect to anything via Wi-Fi a/b/g/n, 3G and Bluetooth. The BlackBerry PlayBook specs are solid, the features that it comes with would make anyone happy, not only those of us with business suits on, so this new delay only adds to my frustration ( if the rumor turns out true ). In any case, 17th of April it is – this time around. See you soon hopefully with a review of the device and not another release date announcement.